70-year-old Harry Coombes (Art Carney) did not want to leave his apartment in New York, one he shared with his wife for more than 50 years. Since her death, he clung to his home and his cat Tonto as a cradle of memories from days gone by. When the police forcibly remove Harry from his condemned tenement building, he is left with a sense of homelessness and uncertainty about his future. 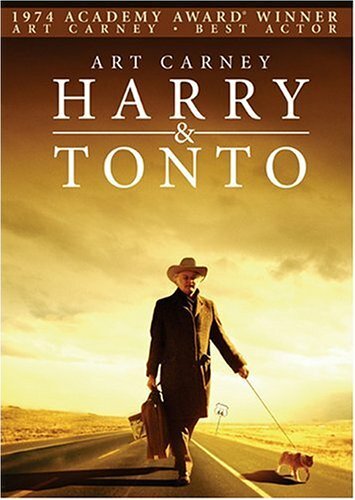 Fortunately, in the beautiful movie Harry and Tonto, Harry remains open to the changes that life inevitably brings. This openness saves his life. With age, some people become increasingly closed to the world. They cling to the perspectives they know rather than seeking to understand emerging ideas and concepts. Their conceptual views become more and more outdated until they disconnect from the dynamic culture that surrounds them. We all know disillusioned people whose aged life view keeps them confined. Once Harry is displaced from his home, he is refreshingly open to the emerging culture. Rather than continue in his curmudgeonly ways, Harry lifts his head and looks around. He discovers the great diversity of our unfolding culture through interactions with young hitchhikers, an aging health salesman, an old girlfriend, an incarcerated healer, and renewed family relations. Harry lets go of his past and is revitalized by the good parts of life emerging. Harry’s openness is best illustrated when he shares a bedroom with his teenaged grandson Norman. Norman has adopted a minimalist’s approach to life, refusing to speak and eating only when required. His immediate family members are disgusted with these behaviors and tell him so on every occasion. Harry is different. He asks, “Is there any literature specifically related to what you’re doing? I’d like to read them.” In this graceful act, Harry demonstrates one great benefit of remaining open – it honors the unique values and choices of others.